DeKay. 1843. Zoology of New York 5. DeKay, 1843, Zool. New York: 198, pl. 24, figs. 259. DeKay, 1843, Zool. New York: 196, pl. 19, fig. 225. DeKay, 1843, Zool. New York: 109, pl. 15, fig. 228. DeKay, 1843, Zool. New York: 202, pl. 17, fig. 233. DeKay, 1843, Zool. New York: 229, pl. 25, fig. 265. DeKay, 1843, Zool. New York: 193, pl. 21, figs. 243-244. ‘Gmelin’ DeKay, 1843, Zool. New York: 189, pl. 17. fig. 236. DeKay, 1843, Zool. New York: 192, pl. 39, figs. 355-356; pl. 40, fig. 357. 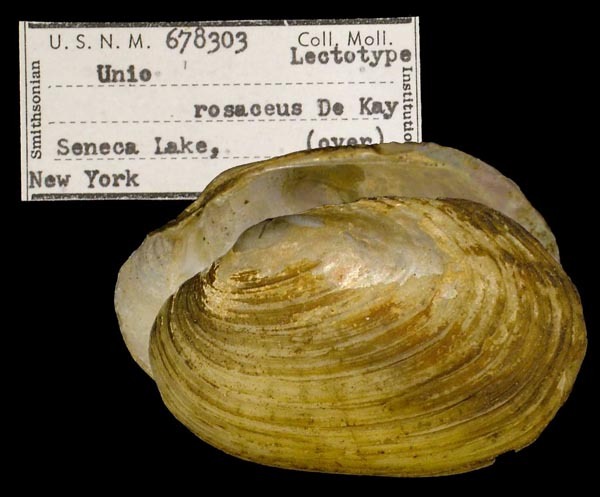 Type(s): LECTOTYPE USNM_678303, Seneca Lake, New York.